May as well start a build thread! So... I am creating a thread that I can keep a track of all the mods as I go. The stance has been widened 15mm with hubcentric spacers all-round. Resonater from the exhaust has been removed and straight-piped instead (loud!). Carbon fiber side vents arrive tomorrow. Renntech ELS lowering module arrives on Weds. Broken TPMS, so new one arrives this Fri. I have wheels booked in to go acid green powder coat (not everyone's taste, but my car example color below) and fit the new TPMS at the same time. These will be my track wheels. Working auto-lift gate struts arrive Friday as current ones are broken. Have a white and black topographical map of London with acid green occasional lines wrap for the car. Headlights, tail lights and windows will be tinted. 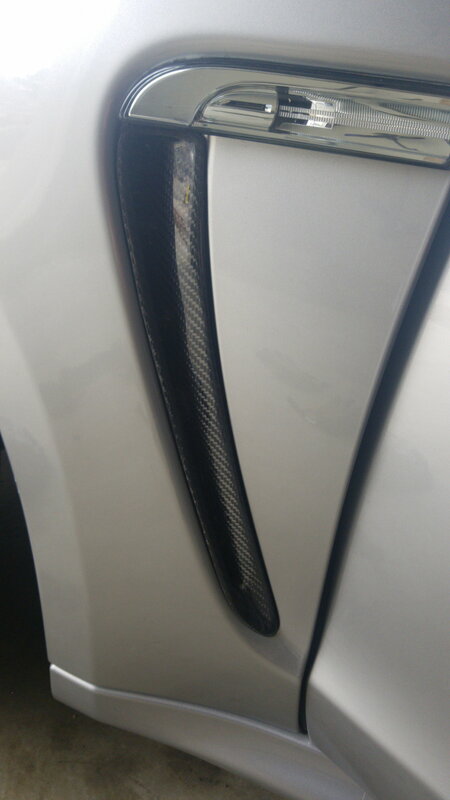 Carbon vorsteiner-style ducktail on order but no delivery date as yet. Eventually plan on bigger turbos, hard piping, bigger intercoolers, more boost, akrapovic exhaust, downpipes, wide body kit, etc. Last edited by LouDA; 04-01-2019 at 11:14 PM. Go BiG or go home! Wasn’t sure how I felt about acid green from just reading the text but looks good in the photo! Have you gotten use to driving on the "wrong side" of the road yet? Last edited by DogWood; 04-02-2019 at 09:27 AM. Haha they do have a few "turning circles" Most people have no clue how to actually use them though! Carbon side vents arrived today. Little bit of damage on one but overall they look decent! Also for those that are interested, this is the crap x pipe job that was there when I bought the car - it is now the piece that is straight-piped. SO you're sending me crap David? In fairness, all a muffler shop need to do is weld a tiny additional lip from tubing and grind off the bad welds previously! When doing the air filter thats a good time to tackle the horns if your's are in poor shape/not working. If you decide not to go with Akrapovic, I have a TechArt Sport system ready to go as you probably already know from another post. Where did you get the Carbon side vents? Link? Hah! I'm aware Remember - I'm a Brit so dry humor and sarcasm flow through my veins! My horns are actually in good shape - I checked them when the bumper was off and the wheel liners were out. I did however notice that it wasn't fixed perfectly after the previous owner had a small front end ding in a parking lot.. I have a larger gap between the bumper and fender on the drivers side than the passenger side so before it gets wrapped, I will be taking it to a body shop to get lined up properly. The issue with the side vents is that they dont have the clips like the OEM ones do, so they dont clip to the inner vent housing. I had to (don't judge me) zip tie them in place for now and they are sturdy and not going anywhere. This weekend, I will get them back out and fiberglass the tabs. The plenum was fine right up until removing the 2 hoses underneath. The red one appeared ti be snapped a bit and stuck. When I got it out, I founda bit of red plastic just jiggling around in the tubing! Whoa. All is back together now. I don't know if it's the placebo effect but I can hear more diverter valve and turbo noise although I didn't feel much performance improvement. Im running at 0.9 bar in sports plus which I think is accurate? Can anyone verify? Quick Reply: May as well start a build thread!